Ecuador community projects seek volunteers for a variety of efforts…. Ecuador Tierra Viva Foundation works toward improving access to safe water and sanitation, by installing, upgrading, repairing and maintaining systems in rural community schools. Potential projects cover a wide range of social necessities including: Installation of water and sanitation systems, improvement of school and childcare infrastructure, provision of teaching resources, promotion of ancestral heritage, protection of archaeological sites, and environmental conservation through agricultural innovation and reforestation. Various projects are already in process while others seek funding, expertise and scheduling with the community groups involved. 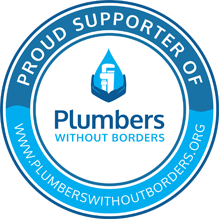 Please consider offering your plumbing knowledge and skills to their projects and improving the lives of school children and the community. Sharing your knowledge and skills, you will not only improve health conditions, but also aid in helping the community to create the baseline for economic opportunity. You will be humbled by the generosity of the people, and overjoyed with having the experience of a lifetime. Spanish language skills are advantageous but not required. Potential volunteers are expected to pay their travel expenses, and ETV requests a $150 per week donation to cover costs of volunteer lodging in a local bed/breakfast.